The focal point of the Via Ferrata Cortina proposal is the possibility to build your program in “tailor made”, to have your preferred number of days and your right grade of difficult, all with the maximal flexibility. If you choose Via Ferrata Cortina as your via ferrata experience in the Dolomites, you will have your base camp in the Cortina area with the possibility to visit some cultural and historical attractions after the daily climbing sessions, but if you prefer a hut to hut via ferrata trek in the Dolomites, is possible to do it in different parts of the eastern and western area of Cortina. Better at it, and with more flexibility at it. I can’t offer you! 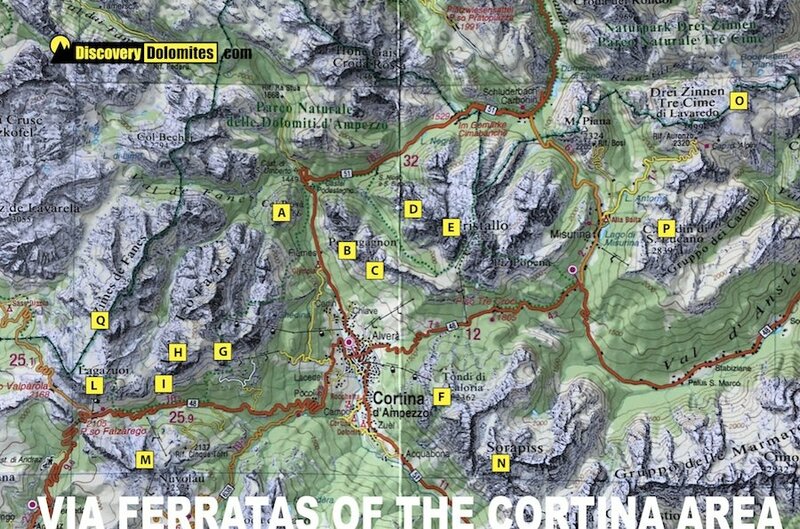 Read below the description of the singles via ferratas of the Cortina area and some examples of possible via ferrata tours, then write me your idea of travel and your preferences. A short but “intense” via ferrata with medium-hight difficulty and a long approach. This climb follow in the last meters (and on the top) interesting structures and bunkers of the World War One. 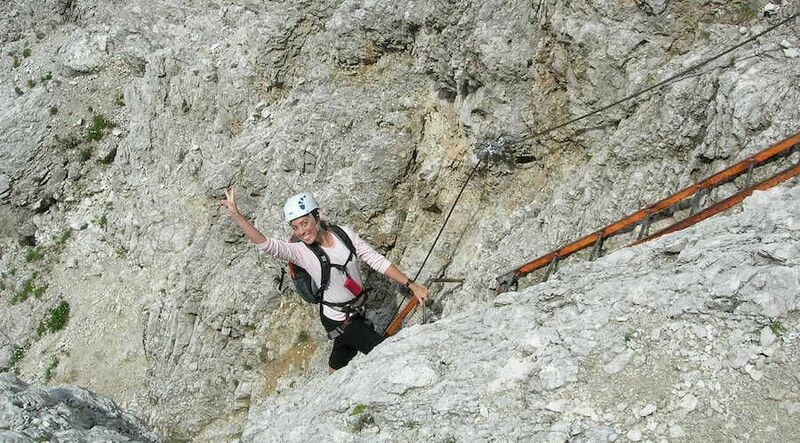 The Via Ferrata Michielli – Strobel is one of the most classical via ferratas of the Cortina area. Located in a incredible panoramic position, this amazing climbing is a “must” for everybody. Very interesting is the long line of scree on the gully of the way back. Similar of the near Via Ferrata Michielli-Strobel, the 3rd Cengia of Pomagagnon is a great panoramic via Ferrata with a long approach and way back. 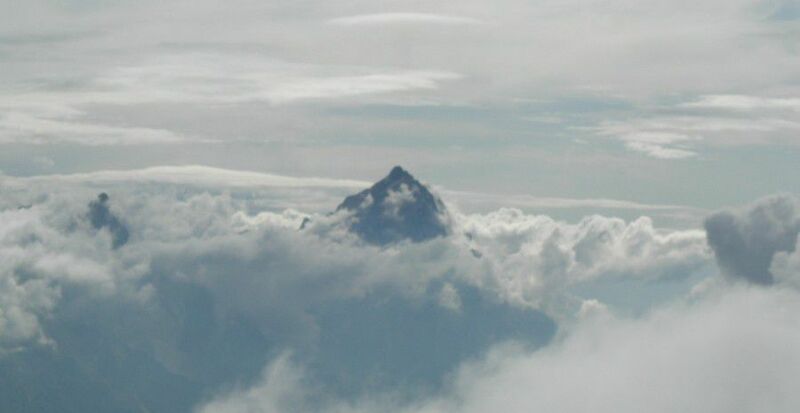 The particularity of this climbing is that follow the natural line of a long ledge (cengia). In origin was the via Ferrata of the line of the front of the Italian troops, today is a extreme long via Ferrata very interesting to combine in two days with the near via Ferrata Bianchi. Along the track we continue to find bunkers, trenches and recovery structures of the war, some in very good conditions of conservation. The logical continuation of the via Ferrata Dibona or… a nice and short day to climb the maximal elevation of the Cristallino d’Ampezzo. The “Cortina answer” at in theme of the “new sport-climbing ferratas”, a funny and difficult climbing directy up of the Cortina town. If you are ready for a very long via ferrata: “this is your target”! 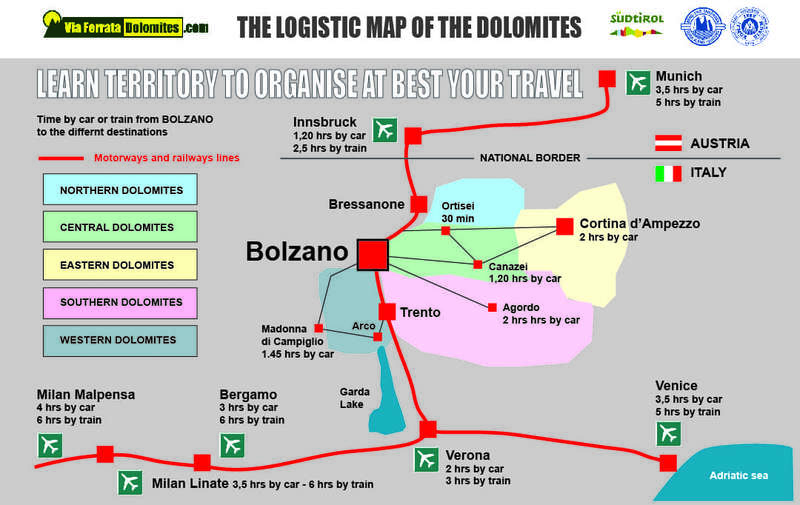 In facts the long crest of the Tofana di Mezzo is possible to divide in different section. The first section is named: “Via Ferrata Olivieri” and the most of people climbing it only it in 3-4 hrs, then is possible use the excape way to descend to the Rifugio Giussani. 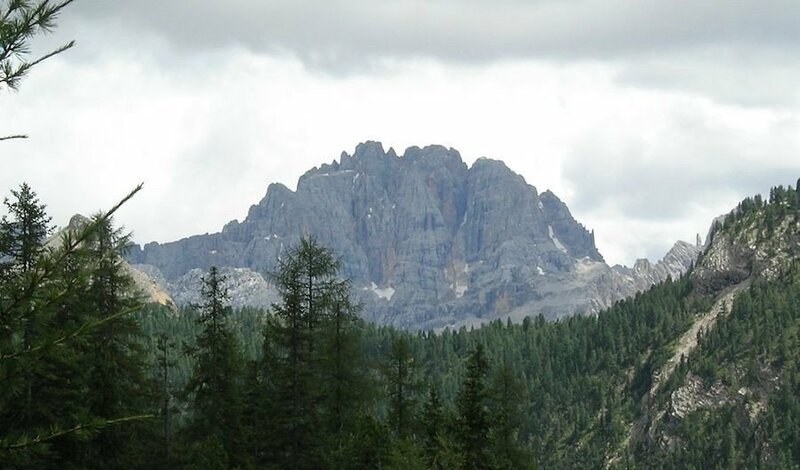 But if you are ready we can continue to the top…..
A very long via ferrata that climb the impressive and enormous west side of the Tofana di Rozes. The first part is into the spiral WW1 tunnel of the “Castelletto” and the exit arrive on the artillery positions of the “Tre dita”. Logically is only for trained hikers…. 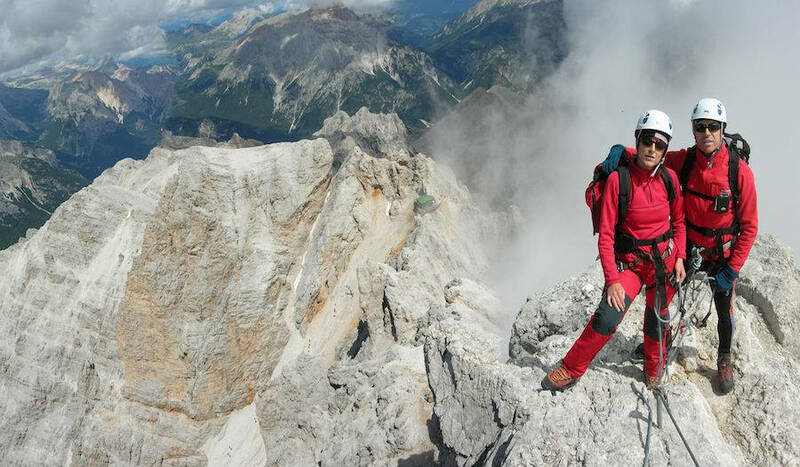 The best via ferrata for your first day in the Cortina area. In this via ferrata we can try and learn the climbing technic in different configurations and situations. The most classical via ferrata on easy grades. A authentic “historical visit” first at the Austrian troops path (Kaiserjaeger path) and second at the Italian tunnels of the great landmine. Don’t lost this occasion, it’s a unique experience! The easier and shorter via ferrata of the Cortina area. Perfect for beginners at first experience and first day. The complete traverse of the Sorapiss group is a 2 days tour for expert and trained hikers. A unforgettable landscape in very wild and isolated areas is the constant of this long traverse. This is a highlights target…. 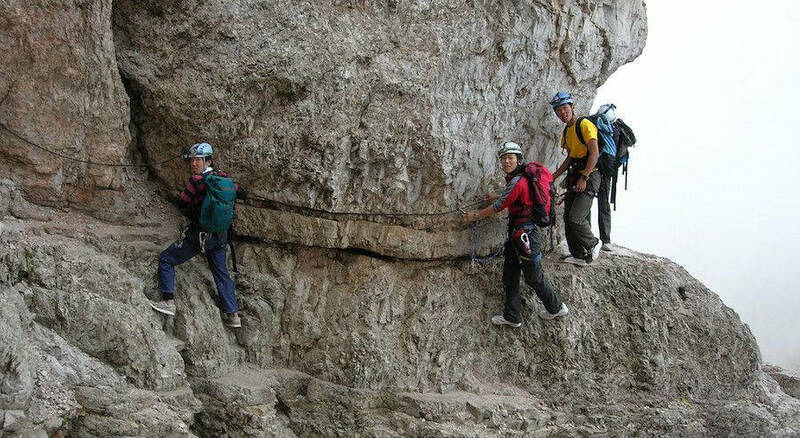 The most classical via ferrata to visit the Lavaredo area and climb along the first line of the front of the WW1 with a impressive sequence of trenches and bunkers. The Via Ferrata Bonacossa is a long path with a sequence of short via ferrata section that we can combine in one or two days. In any case is easy but long and very nice for the internal views of this secondary group of mountains on the Cortina area. The Via Ferrata Tomaselli at the Punta Fanes Sud is one of the most difficult via ferratas of this area. A great exposition with a constant athletic imprinting are the salient characteristics of this climbing. The central position on the mountains of Fanes, give at this via ferrata a fantastical panoramic position. And now think at your preferences and combined it with this large range of via ferrata….. I’m ready to discuss your request. write me! You can choose two systems of services depending of your preferred organisation of travel: "All inclusive service" or only "Mountain Guide service" costs. It depend if you have your accommodation in Cortina (1) where the via ferrata days are only a part of your travel, or if you arrive here for a finalised period (2) at the via ferrata and then continue your travel to one other area of Italy. In the first case (1) is better to consider only the "Mountain Guide service" in the second case (2) is better the second: "All inclusive service".